* Meditation screen with pre-set background menu tracks including Koto / Cello, Rainforest, Ocean, Tabla drums, Guided Imageries and more! Min requirements: WinXP SP3, 1GB ram, 1.2 Ghz cpu recommended. Mind Drive was originally produced by “The Other 90%”, a project by Ron Gordon of Atari games and offered a selection of “mind activated” games such as Mind Bowling, Mind Skiing, Mind Blox, Mind Music, and others. Mind Drive is DOS based and was able to run in Windows 3.1 and Windows 95 and 98 in DOS mode. Subsequent versions of Windows that ran DOS programs out of a terminal window had difficulty running the Mind Drive series without crashing. Periodic success has been reported running in a DOS window in XP with the correct compatibility settings. Mind Drive requires 9v DC current. The MindDrive power supply is configured for 110v input and will blow-out if plugged into a European or Asian 220 system with a non-transforming adapter. A 9volt battery does power the unit, and we have seen a USB (5v to 9volt ) converter also successfully power the MindDrive. 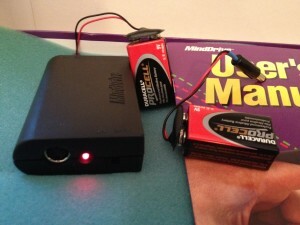 Mind Drive utilizes a serial connection. Older machines with a 9 pin serial port work well. USB to serial adapters also work, however it is sometimes necessary to roll back the driver to an earlier or USB 1 driver to establish the connection. All USB – serial cables we have seen with the BLUE plastic ends have shown to work. GREEN end cables may work with the correct driver. Original Mind Drive games offer a choice of com port connections in their setup executable. If using BioDisplay, please be sure to use com 1. The USB serial port can be configured to com 1 in the control panel, device manager, com ports, advanced settings. If a connection is not establish, turn the mind drive off and on again so the red light returns and try again. If you still do not get a connection, see our trouble-shooting page. 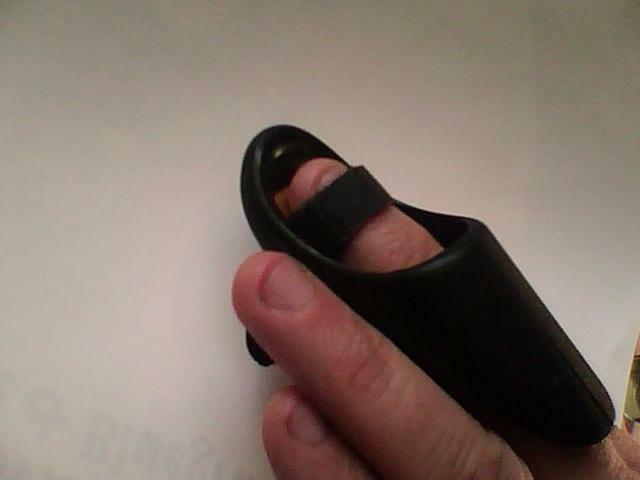 Finger sensor must be plugged in correctly and not forced. Too much pressure if in the wrong position can bend the pins. Sensor should make a good connection with the finger but not be too tight. Atari – In the mid-70’s Ron Gordon took charge as President of Atari, Inc and made it into a leader in the video game industry. He then went on to pioneer the pocket language translator, the “HHC”, a 6502 based hand-held computer, the world’s first “Electronic University Network” (eLearning), and the 1st computer product operated by thought – The Mind Drive. Once BioDisplay is connected to the MindDrive, you will see a heart signal on the left graph and Electrodermal bars on the right. Heart rate in BPM appears in box to the left of the heart signal graph and EDG in uMhos X100 appears in the box to the right of the EDG bars. The “Meters” tab gives numeric read-outs for EDG, HR, BVP and HRV. The “Trend” graph shows changes over time. Default display is 2 sec per data point. The drop down menu in the upper left hand corner allows for smaller or larger time increments. The “Sound” screen allows you to assign midi sounds to output of either EDG, HR, BVP or HRV via option buttons in upper left hand corner of screen. Play “Valence” sounds a higher frequency midi tone as the physiological signal increases and a lower tone as physiological signal decreases.